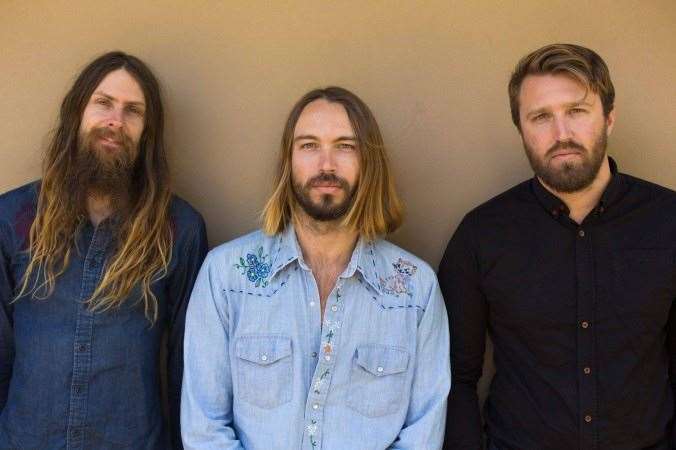 TSUN are a 3 piece bunch of psych lovers residing at the Gold Coast. Just fresh of an epic main support with The Brian Jonestown Massacre, you are sure to hear more of these guys from here on out. First things first, tell us a bit about the members, how you met and where do you reside? We met a few years back on the Gold Coast, a few of us had played in bands before and we met Karl at a gig and had a chat and decided to try make some music together. We have been doing just that for the last 3 years and it’s going from strength to strength. Anyone in the band take heart to riding a surfboard? We all love to get in the water, although our boards are gradually getting longer and wider haha. Whenever we have enough room in the car on tour we will always pack the boards. Music and surfing go hand in hand and especially when you are touring down the east coast of Australia you are exposed to so many good spots! Your track "Marmalade" is featured in our latest film Project Wanderlust. It's one of my favourite tunes I've heard all year. How did it come to fruition? Thank you! That is awesome to hear. We were jamming on a bass groove and within about half an hour it all just came together. Not long after we convinced good friend and music maker Mark Duckworth to move his studio into an old Masonic Lodge. We had about 6 hours to get in setup, capture a live recording and get out before a dance class began. We laid down four tracks, with a guest appearance by Ian Peres (Wolfmother) and Marmalade was born! 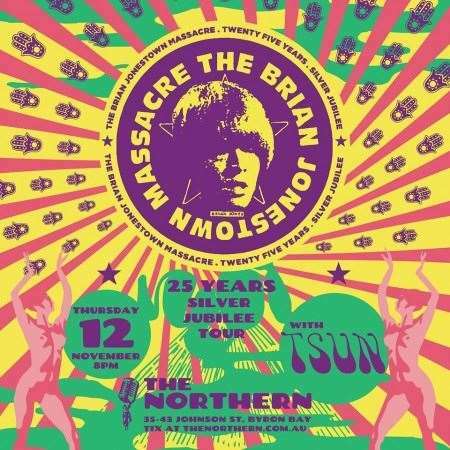 You recently supported Brian Jonestown Massacre up in Byron. How was that experience and did you meet the band? Playing with BJM was epic, we played a super fun set to a big crowd. The night was sold out and they played for about 3hours! We got to hang with the band before and after the show. Anton was as obscure, passionate and intelligent as we had imagined. It was epic to see that after playing music for 25 years he was genuinely still frothing to play and meet people. Conversations would just spiral off track and end up in some voids blending art, public gardens, ww2 and particulars pertaining to the strength of nazi concrete. It was very memorable. Whats happening for you guys in the next coupla months / the new year? We are playing - Wish you were here - A TRIBUTE TO PINK FLOYD at the Triffid, Brisbane on the 16th of Jan with some other great local bands. Some big changes are hopefully underway over the next few months. Some overseas talk is in the pipeline and some recordings. Although unable to give too much away, it is looking like 2016 is going to be a busy year for TSUN!